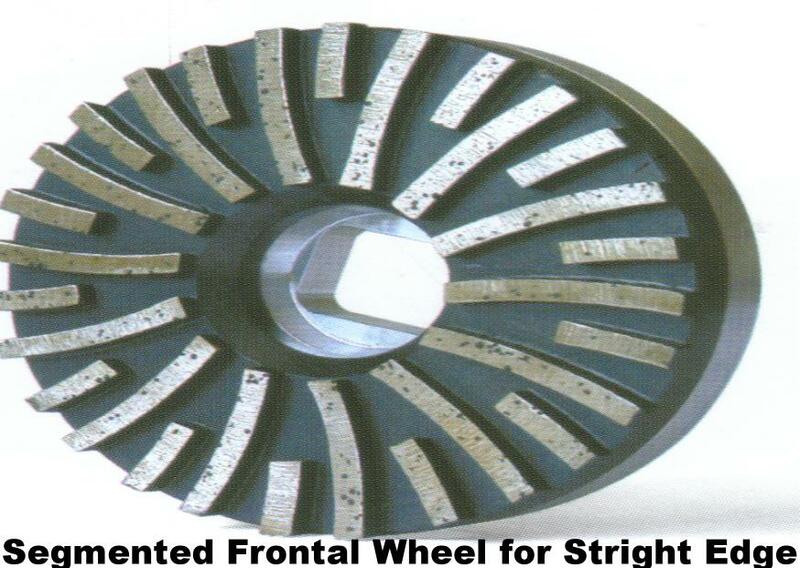 + Segmented precutting wheel for per-shaping or pre-cutting of toroidal or semitoroidai shape. 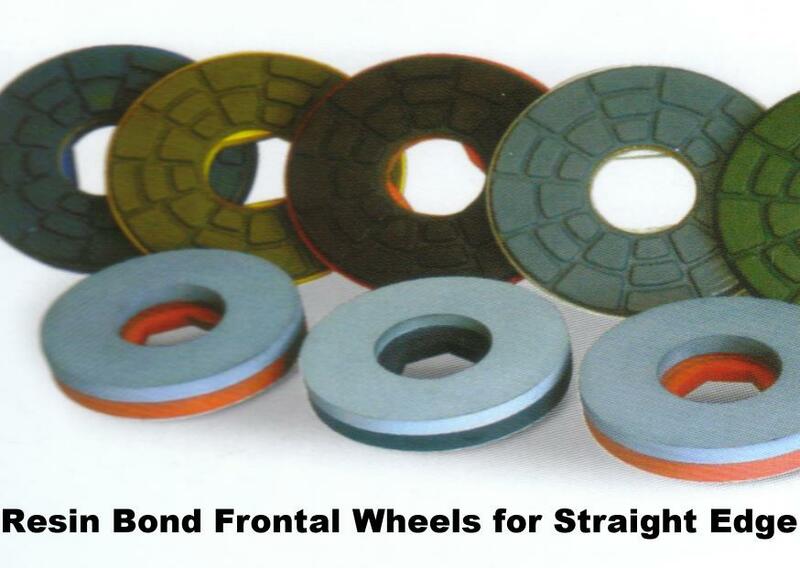 + Calibrated segmented fromtal wheel for calibrating edge. 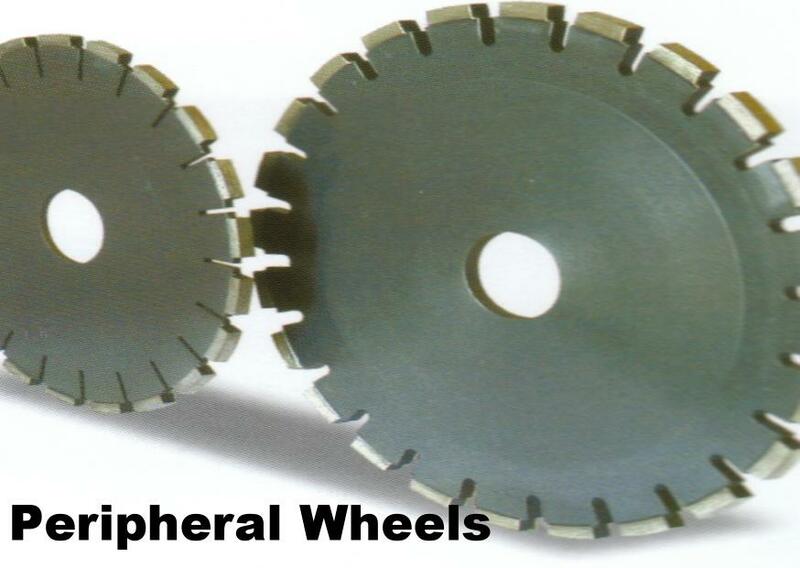 + Peripheral wheel or grooving wheel for drain board or groove line, width & diameter upon request. 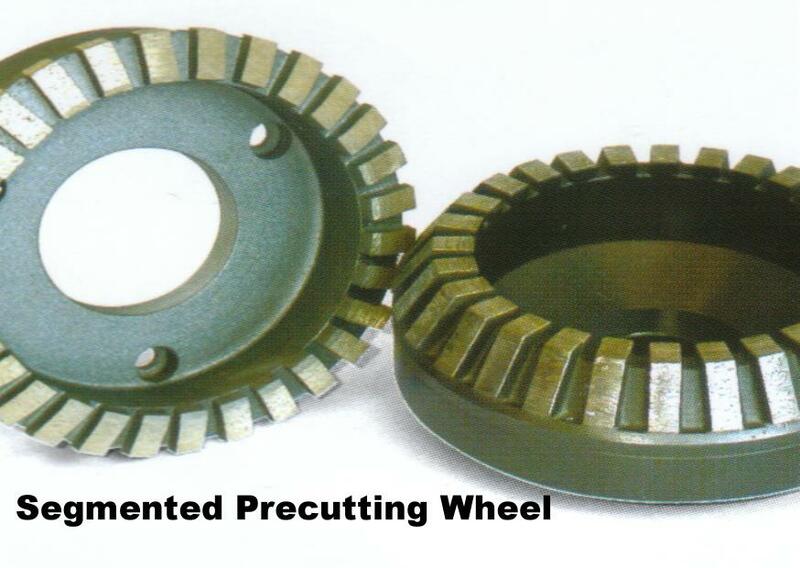 + Segmented or electroplated profile wheel ( all shape ) width & diameter upon request.